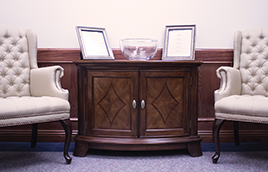 Fragasso Financial Advisors has repeatedly been recognized as a top place to work because of its collegial work environment and focus on service to clients and each other. Fragasso Financial Advisors has no openings at this time. Robert Fragasso ranked #2 in western Pennsylvania on Forbes Top 250 Wealth Advisors This is our 2nd year being honored for this award! Fragasso ranked #175 nationally. 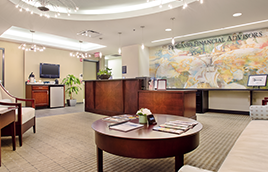 Forbes ranks Fragasso Financial Advisors founder, chairman and CEO Robert Fragasso as the No. 175th Financial Advisor ranking. 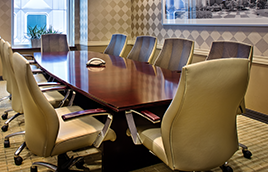 Algorithm is based on quality of practice learned through telephone and in-person interviews, client retention, industry experience, review of compliance records, firm nominations; and quantitative criteria, including: assets under management and revenue generated for their firms. Investment performance is not a criterion because client objectives and risk tolerances vary, and advisors rarely have audited performance reports. Rankings are based on the opinions of SHOOK Research, LLC which does not receive compensation from the advisors or their firms in exchange for placement on a ranking. Minimum account sizes are general since it can vary depending on a range of circumstances. Advisors are judged on individual contribution, but total team assets are shown; while in some cases significant, non-custodied assets are not included due to verification difficulties. Data as of June 2018. Barron’s ranks founder, chairman and CEO Robert Fragasso #2 advisor in western Pennsylvania. This is our 9th consecutive year being honored for this award! Fragasso ranked #66 nationally, up from #70 in 2017. Barron’s ranks Fragasso Financial Advisors founder, chairman and CEO Robert Fragasso as the No. 2 financial advisor in Western Pa. and No. 66 out of 17,500 such firms nationally on the list of America’s Top 100 Independent Advisors. Barron’s has ranked independent advisors since 2007. The Top 100 Independent Financial Advisors ranking reflects the volume of assets overseen by the advisors and their teams, revenues generated for the firms, assets under management, revenue produced for the firm, regulatory record, quality of practice, philanthropic work and the quality of the advisors’ practices. The scoring system assigns a top score of 100 and rates the rest by comparing them with the winner. At Fragasso, we are proud of this national award which recognizes an outstanding group of people who work hard to continuously improve upon our services, expertise and efficiencies for the benefit of our clients. This award reminds us of our growth and past successes. We are inspired to deliver exceptional service to our clients and to one another as colleagues. Fragasso Financial Advisors was chosen as number 28 overall and number 8 in the medium-size category of the 2018’s top-50 Best Places to Work by InvestmentNews based on employer and employee surveys delving into everything from company culture, benefits, career paths and more. This survey was developed by an outside consultant with the input of InvestmentNews and leading industry executives. In order to be considered, a firm must meet the following criteria: 1.) Be a registered investment adviser or an affiliated independent brokerdealer, 2.) Be in business a minimum of one year and 3.) Have at least 15 employees. 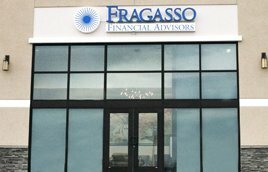 Forbes ranks Fragasso Financial Advisors #5 in the state of PA on its 2018 State-By-State Wealth Advisors List.